Excellent choice. I think the first fully electronic album I ever heard was Autobahn, but this must have been second. A friend had a cassette of it, and other than Oxygene 4 I never really gave it a chance. Fast forward 30 years and this album, and Equinoxe, are favorites. It’s fummy, I liked it when I was younger, then in my ‘serious 20s’ it was ‘too commercial’, but now I have swung back and really like it again. 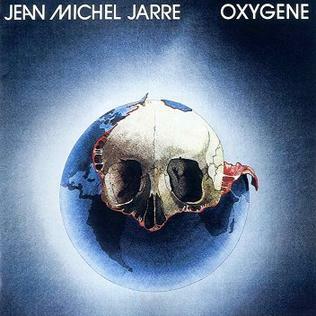 I adore the album Oxygene by JMJ. A truly unique electronic masterpiece album which has stood against time, past, present and future. This and Rendez-Vous are his two masterpieces. I need to take another look at Magnetic fields, been 10 years-ish since I last played it. This “alone on that slippery slope” thing has now come up four ot five times here. Come up with something else? Have a go! Fantastic, I have my first troll, I am so proud.